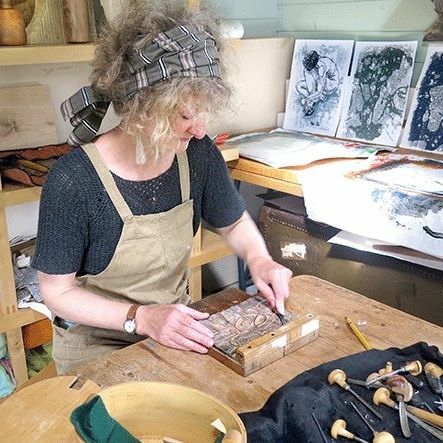 ​Sarah Venus is an artist living on the North Yorkshire coast. She uses printmaking, felting, textiles, painting, collage as well as unconventional materials in her work. Natural forms and the interaction of elements are a common thread of inspiration, drawing a link between these practices. Sarah has a parallel career in illustration having worked on many commercial commissions. She is currently making work for the family card publishing company, 'Flytrap Publishing', in addition to her fine art practice.